The release of the acclaimed film The Disaster Artist, which tells the behind-the-scenes story of greatest bad movie ever made, has returned The Room director, writer, producer, star, and financier Tommy Wiseau into the spotlight. Wiseau’s bizarre behavior is always a sight to see, and Smosh Games figured out a clever way to collaborate with him. The gaming channel run by comedy brand Smosh brought Wiseau to an “escape room” challenge inspired by The Room. 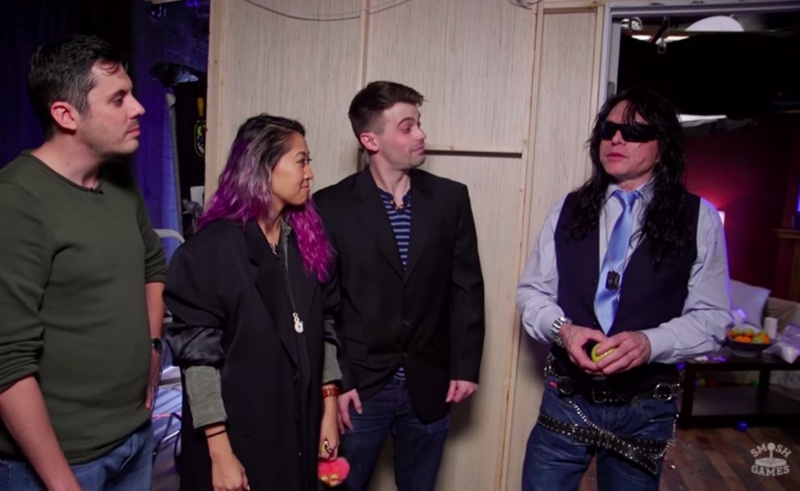 As the video begins, Wiseau meets Smosh Games hosts Joshua Ovenshire, Mari Takahashi, and Damien Haas in a room that matches the main setting from his 2003 movie. By solving a series of puzzles, Wiseau and co. are able to escape. Along the way, the director’s strange behavior generates plenty of comedy. Wiseau is no stranger to the online video world; he previously hosted The Tommy Wi-Show, a web series that was distributed by Machinima back in 2011. He’s always a fun guy to have around, so here’s hoping the success of The Disaster Artist gives him plenty more chances to collaborate with members of the YouTube community.